Only a modest number of truck driver jobs, if any, are expected to be displaced by automated vehicles in the United States, according to a new report commissioned by Ypsilanti Township’s American Center for Mobility (ACM), led by Michigan State University and supported by Texas A&M Transportation Institute. The study covers the next 10 years. “Automated vehicle technology could incorrectly be viewed as a change that will eliminate driving jobs; however, the more nuanced assessment is that over the next decade, the innovation will foster broader societal changes resulting in shifts in the workplace and workforce demands,” says Shelia Cotten, a professor with the MSU Foundation who led the research. Significant numbers of automated vehicles are not expected to be deployed until the latter half of the 2020s, when some displacement of passenger car-based driving jobs could occur, mainly among taxicab drivers, according to researchers. 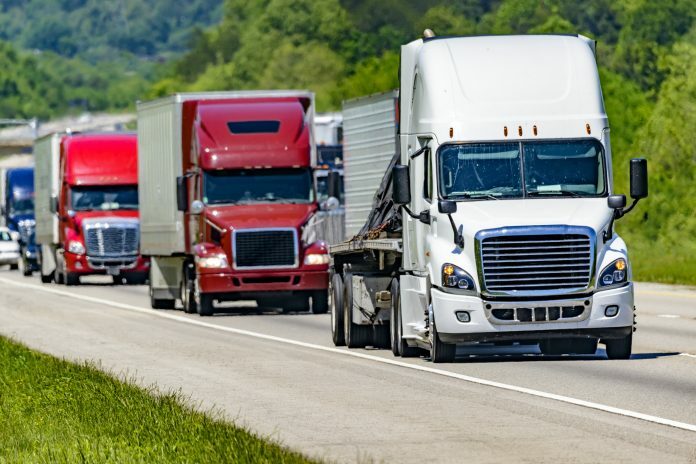 Due to existing truck driver worker shortages and the belief that automated technology will support truck drivers instead of replacing them, truck drivers are not likely to be displaced in large numbers during the next 10 years. Limousine and bus/transit drivers who are executing services that necessitate face-to-face interaction or passenger assistance, such as luxury services and paratransit, are also less likely to be displaced by automated vehicles in the foreseeable future, the report found. These drivers will likely undergo training to learn how to use the new supporting technology. Based on the report’s findings, ACM and the study authors recommend that additional research be conducted to discover what training vehicle operators in different workforce sectors would be interested in pursuing. They also suggest that specific skillsets needed by the automotive and technology industries be identified to facilitate the creation and adoption of autonomous vehicles. Other recommendations include establishing rapid coursework and training that meets these needs; and conducting more research to quantify the overall positive financial impact of automated vehicle technology on the economy as a whole, and the potential for job creation. The report also suggests a substantial change to the way workers in many industries do their jobs. Motor vehicle manufacturers and technology firms working in the automated vehicle arena are already finding it more difficult to hire enough workers with certain technology skillsets. Also, as automated vehicles begin to proliferate, maintenance and certain adjacent occupations will need to evolve and expand. The ACM is a nonprofit testing, education, and product development facility for future mobility designed to enable safe validation and self-certification of connected and automated vehicle technology, and to accelerate the development of voluntary standards. ACM is one of 10 U.S. designated Automated Vehicle Proving Grounds in the country.